Following the release of our latest analysis on cigarette smuggling, New York Governor Andrew Cuomo (D) has announced a 13-agency task force convened to combat illicit cigarette trade. According to the latest data from the Mackinac Center for Public Policy, smuggled cigarettes represented 56.9 percent of cigarettes consumed in New York in 2012. In an effort to crack down on the sale of illegal smokes in New York, Cuomo is set to announce Monday a 13-agency task force dedicated to keeping illegal cigarettes out of the state. “This new law-enforcement strategy will help to crack down on these illegal cigarette sales and capture those smugglers who seek to evade the law and rob the state of the revenue it is rightly owed,” Cuomo said. A recent study by the Tax Foundation revealed that almost 57 percent of cigarettes smoked in New York were bought into the state illegally, the highest of any state. That was a 20 percent increase from the previous study, conducted in 2006. 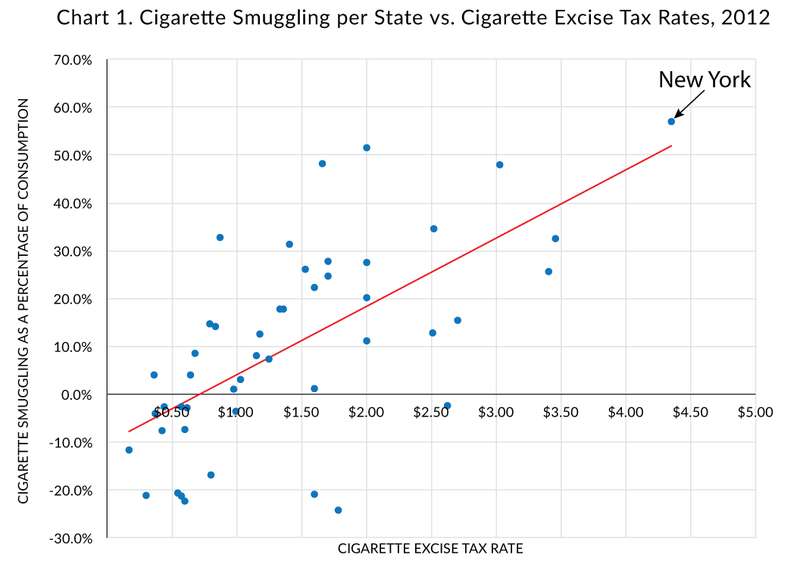 New York state has the highest cigarette-tax rate in the country, making trafficking a profitable and attractive enterprise. New Yorkers burn a hefty $4.35 per pack in taxes — and those who light up in the Big Apple are slapped with an additional $1.50 tax per pack. In comparison, Missouri, has the lowest cigarette tax, at only 17 cents per pack, according to the study. 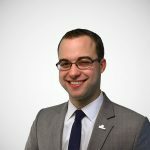 “Public policies often have unintended consequences that outweigh their benefits,” Tax Foundation Economist Scott Drenkard said in the report. While there are small changes to enforcement that could have beneficial impacts on cigarette smuggling, I hope the task force also studies the option of leaning less on cigarette tax revenue to fund government functions. New York rates are at such high levels that the state currently experiences what we call “de facto prohibition” in our report. As was seen during the U.S. prohibition of alcohol during the 1920s, these cigarette taxes have caused substantial and lucrative black market activity, undermining of the rule of law, and in some cases, creating violent crime.